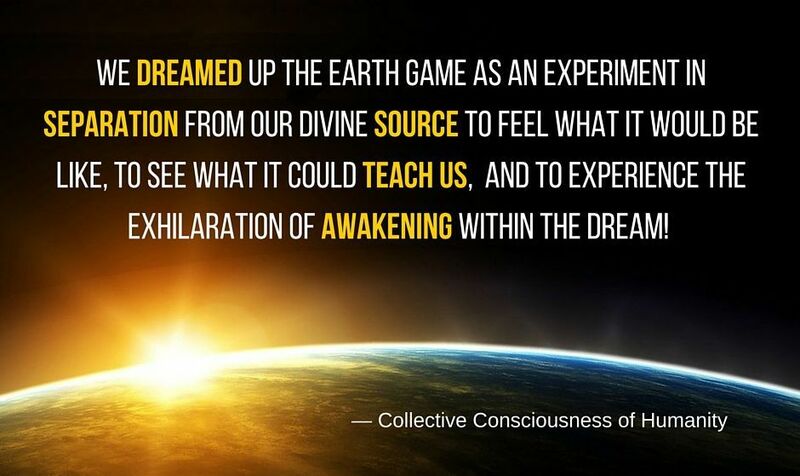 Jeff Street – Understanding the origin, purpose, and true nature of the earthly reality that you are experiencing can be instrumental to transcending your current level of consciousness and moving up to the next level of the game. 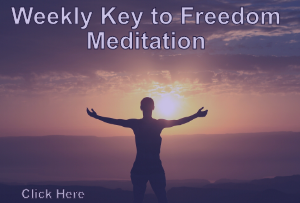 For some, especially the unawakened, this information might be a bit overwhelming or hard to believe but it could prove to be very important to the future course of your life both, during this one and the next. How does one know what level of consciousness they are at though? I mean, I know what’s going on, follow cobra, meditate weekly, am fully aware all events are staged, we are getting lots of help from our galactic brothers and sisters, follow all the interviews with cobra, also Corey Goode and D Wilcock etc.. but we can’t judge our own consciousness level and we also know humanity on earth is being mind controlled and also the plasma field is blocking our source connection, so how can anyone be held to any realistic level of consciousness requirement when the vast majority are literally not of their right mind? Take down the cloaked mind control ships, remove the veil and people would rapidly ascend in consciousness I assume. This ‘Earth Game’ isn’t to every awakened/sovereign beings liking – i for one discern more unnecessary trauma to release over eons of time… yes it’s a great article; equally, i consider myself a soul who has awakened enough to discern that the constant references to us humans, solely, manifesting our present situation via our collective consciousness is a false-hood – NO we did not. We can not consciously manifest that which is preconceived/preordained by others. The game was manifest and afoot already… we’re the scapegoats for a game of ‘separation’, which has gotten out of hand; and i refuse to accept sole (soul) liability. Period! At least you could give it a try, to pretend that we play this grand opera. For the sake of trying something new, Log Cabin. It won’t hurt, you know. And if it does, you’ll find clarity about making a choice that suits you. I have a question: Since Heaven is a state of consciousness as stated in one of the images, is Hell also one as well? What puzzles me, this question came up again, when I read your comment, is how highly evolved beings can end up, engaged in a game of power on planet Earth, with their physical manifestation present in the 3D illusion and accompanied by an ego, living in conditions that are fully in opposition to the nature of their being. Or is it possible that there are highly evolved beings, highly skilled in service to self? Present in the lower dimensions? (4th and lower) I’m a bit puzzled, wondering what highly evolved actually means and if it’s all in relation of the level of consciousness and a heartconnection? I may be mistaken by thinking that a highly evolved being is highly evolved in a moral sense as well. This may not be the case at all. This person seems to be heavily damaged, the cause is unknown to me. This person has a highly evolved spirit being, but this person chose to park most of the unsolved issues on the other side of the veil, before incarnating in a physical body. The purpose of meeting this person was a trigger of my core issues in need of surfacing and healing, so that I could move on and evolve. I was heavily under attack, on an astral level, for one and a half year and I had to cling to walls. With much help of wise women, confusion was replaced by understanding and that awareness caused the whole charade and powergame, between me and that person, to shift from bitter medicine to ambrosia. I chose it to be that way, for I had made a decision that this ordeal must bear fruit that makes me feel proud. Also I learned that before I came into physical form, I had chosen to solve my core issues. I can now say, in all honesty, that this person offered me the best medicine to cure my soul-illness, the gap that was present in my energy system was filled and that space is now embodied by me.. I’ve walked away and never communicated the outcome of this experience with that person. One of the wise woman told me “Once you begin to see what the gift is, in this experience, you can let go of the package” meaning that the emotional attachment would fade away. Isn’t it miraculous how life at times shows up with mirrors and dramatic props? Is this maybe the answer to my puzzledness, that souls can choose to play the devil in order to wake people up? I’m truly interested in your and other people’s views on this subject, thank you! Dear Mariam, you have answered your own question. There is a group of interdimensional physical & non physical of highly evolved & skilled beings and entities in service to self Present within the lower dimensions (4th & lower) Just like some humans who are highly evolved in some ways chose to serve the darkness, e.g: High satanic Priest & priestess of satanic covens & the ruling members of the 13 Illuminati families that rules this world. Unfortunately most human beings chose directly (greed, fame,etc.) or indirectly (ignorance, comfort, fear, etc.) to walk this “Path MOST traveled”. We call this group The Great Dark Brotherhood (GDB) In planets like Earth ruled by duality this group always have fist right against humans, therefore why we perceive that darkness always comes first. Because it always comes first. Thank you, Edward. That’s most helpful to ponder and good food for thought. Your response reminded me of the numerous black magicians in our world, past and present, that know how to manipulate energy and matter, for their own good and the enslavement of human beings ignorant of such skills.